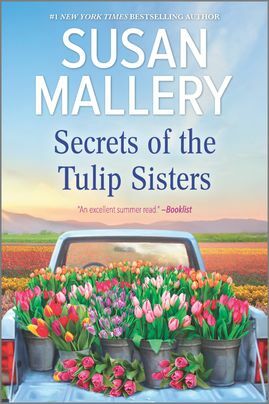 Kelly Murphy’s life as a tulip farmer is pretty routine—up at dawn, off to work, lather, rinse, repeat. But everything changes one sun-washed summer with two dramatic homecomings: Griffith Burnett, Tulpen Crossing’s prodigal son who’s set his sights on Kelly; and Olivia, her beautiful, wayward and, as far as Kelly is concerned, unwelcome sister. Tempted by Griffith, annoyed by Olivia, Kelly is overwhelmed by the secrets that were so easy to keep when she was alone. Olivia’s return isn’t as triumphant as she pretends. Her job has no future, and ever since she was sent away from the bad boy she loved, she has felt cut off from her past. She’s determined to reclaim her man and her place in the family…whether her sister likes it or not. For ten years, she and Kelly have been strangers. Olivia will get by without her approval now.